Los Angeles has accepted millions of dollars in federal funds by falsely claiming it developed adequate housing for people with disabilities though it failed to do so. That’s the charge the Department of Housing and Urban Affairs has levied, the Los Angeles Times reported. The federal agency accused the city’s housing program of discriminating against people with disabilities, and said local officials failed to provide proper oversight of the developers who constructed low-income units with federal funds, according to the report. 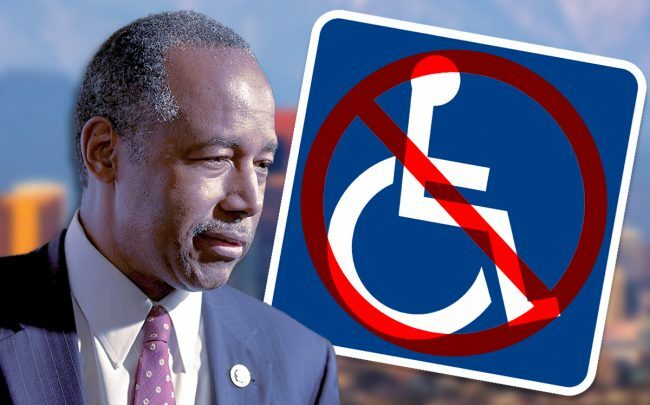 HUD Secretary Ben Carson found several instances where living space and amenities were not safely accessible to wheelchair users, and did not comply with the Americans With Disabilities Act. Investigators also found “widespread” incidents of people without disabilities living in units that were designated as wheelchair accessible and financed with federal money. They additionally discovered grab bars placed at incorrect locations and doorways that are not wide enough to accommodate wheelchairs. Two years ago, the Department of Justice alleged that L.A. committed fraud by asserting homes built with federal funds were fully accessible to renters with disabilities. On Monday, HUD noted that investigators went to 16 developments that were federally funded and found zero units that complied with requirements. The city has since been unwilling to address the violations, the letter continued. A representative for Mayor Eric Garcetti disputed that claim, and argued the city has spent years working to come to an agreement with HUD.